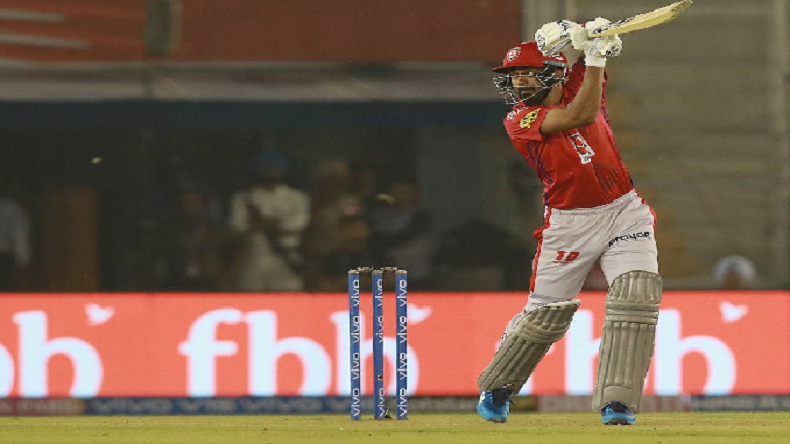 Kings XI Punjab on Monday registered their fourth victory in the 12th edition of Indian Premier League (IPL) by defeating Sunrisers Hyderabad by six wickets. It was the spectacular batting of KL Rahul and Mayank Agarwal, which led Punjab to victory. The team restricted Bhuvneshwar Kumar-led SRH on 150 at Punjab Cricket Association IS Bindra Stadium in Mohali and chased the target with a ball to spare. Kings XI Punjab beat Sunrisers Hyderabad in a last over thriller by six wickets. This was the brilliant comeback of Hyderabad after suffering a massive defeat at the hands of Mumbai Indians on April 06. The team was all-out for 96 runs while chasing 136. Today, the target of 151 was not difficult for a team like KXIP because they possess the strong batting line-up. Smashing a six and a four, dangerous Chris Gayle was dismissed for 16 runs in the fourth over. Then Lokesh Rahul and Mayank Agarwal took the score 100 in the 13th over. Rahul scored third fifty in the last four matches while Agarwal smashed second in this season. Both the batsmen stiched 114-run partnership in 84 deliveries. Hyderabad made a comeback in the 18th over, when Sandeep Sharma dismissed Agarwal for 55 on the first delivery and on the last ball, he departed David Miller for a run. The team needed 16 in the last two overs with seven wickets in hand. The required score remained 11 in the last over with six wickets in hand. Skipper Kumar handed bowl to Mohammed Nabi. Punjab chases down the target with one ball to spare. Batting first, Hyderabad did not get a better stand as their first wicket fell for just seven runs in the second over. Jonny Bairstow could only score a run off 6 balls. Though opener David Warner and one-down batsman Vijay Shankar made a 49-run stand but they took 54 balls. The team scored only 50 runs in the first 10 overs. The second wicket of Rajasthan fell for 56 and third for 80. Shankar scored 26 off 27 balls, Mohammad Nabi made 12 off 7 balls. In the last 10 overs, Hyderabad scored 100 runs. It happened because of Warner’s aggressive batting. He remained unbeaten on 70 off 62 balls. Manish Pandey contributed 19 off 15 while Deepak Hooda made 14 off three balls. He smashed a sixer and two boundaries off Shami’s last three deliveries of the 20th over. For Punjab, Mujeeb Ur Rahman, Mohammed Shami and Ravichandran Ashwin claimed one each wicket. Though Ankit Rajpoot remained wicketless but he conceded only 21 runs in his four-over spell. The 23th match of this season would be played between Chennai Super Kings and Kolkata Knight Riders at MA Chidambaram Stadium in Chennai.